Uzbekistan Airways expanded its firm order Boeing 787-8 to six aircraft, according to Boeing’s database. In December 2016 the airline added one more airframe to the initial order for five aircraft placed in 2007. 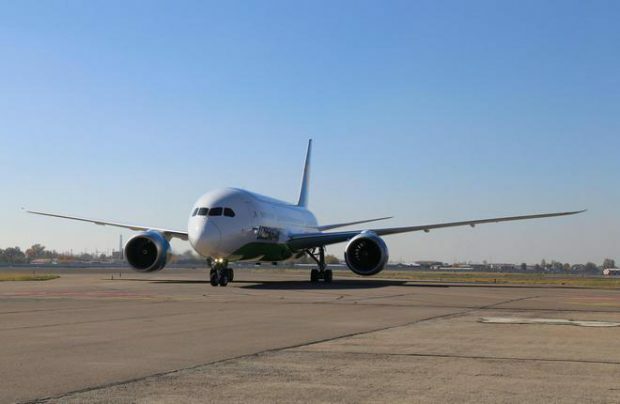 Uzbekistan Airways received first two Boeing 787-8s in autumn 2016. The 246-seat aircraft operate on international routes from Tashkent to Moscow, Istanbul, Dubai, Riga, Tel Aviv, and Delhi. In spring of 2017 the airline plans on opening a new direct route from Tashkent to New York. Last year the airline announced a plan to acquire three bigger Boeing 787-9s. Whether the carrier plans to keep this order in place is still unknown. Besides Boeing 787s, Uzbekistan Airways operates wide-body 767s, narrow-body 757s, Airbus 320s, and Ilyushin Il-114 turboprops.